We are so fortunate to live where we do on the south coast. Not only are there plenty of fun activities in and around Bournemouth, if you travel a little further out, there are even more fantastic options for days out with the kids. Despite having lived in Bournemouth for over twenty years, I somehow had never been to Marwell Zoo, located between Southampton and Winchester, before. Cameron went recently on a school trip and loved it, so I was more than happy to go along for a review visit a couple of weeks ago with Ed and the children. As we are only around 45 minutes away from the zoo, we decided to leave mid morning and arrived at midday ready for our packed lunch. There are plenty of places around the park for you to enjoy your picnic, as well as cafes and refreshment stands if you fancy something else. Tummies full, we headed over to see the penguins, which the kids all loved. Cameron had taken along his polaroid camera and we had to stop him from taking all the shots in one go! The park has plenty of maps dotted around so that you can see where you are headed next, there is also a PDF version available on their website. There is plenty to see and do at Marwell. The children are a mix of ages but all three really enjoyed the day out. Benjamin loved walking around and seeing all the animals, especially the otters as they were making lots of noise! 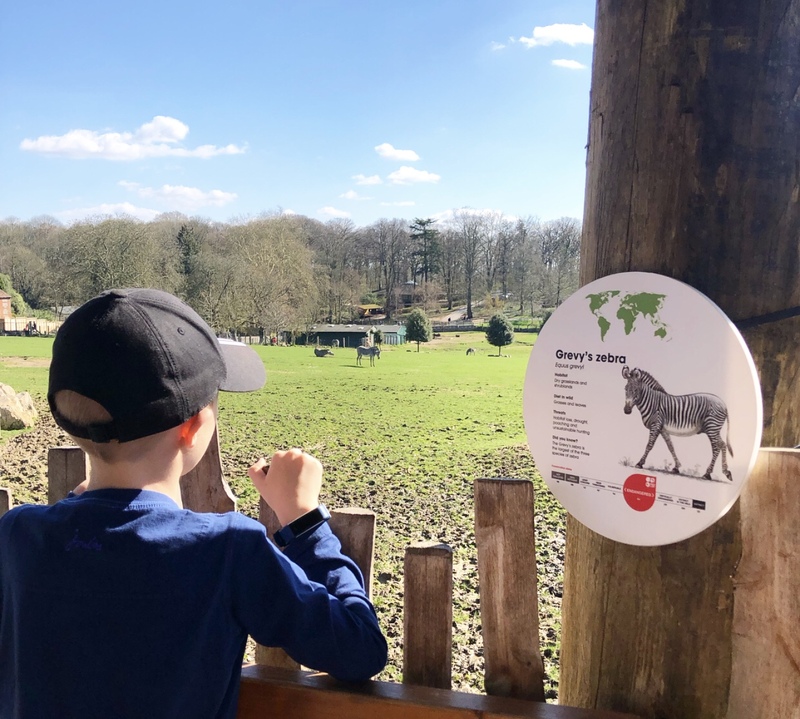 Carly’s favourite part was the leopard and the play areas and Cameron really enjoyed finding out more about the animals by reading the information boards on the way round. There is also an interactive guide book available for children to fill in, should you wish to purchase this on the way in. Marwell isn’t just great for children, Ed and I loved our day out too. My favourite animals were the giraffes – I hadn’t seen one up close before and they just seemed so big and majestic. We were both impressed with how many animals there were to see, and the variety. There was something to see around every bend and we could have easily spent the whole day at the park if we had arrived earlier. On the way out of the park, we stopped off at the gift shop. I liked that, unlike most family attractions, the shop could be avoided if you wanted to. You didn’t have to leave through the shop itself. The children loved picking out a small souvenir each to take home. The prices were fairly reasonable and there was a lot of variety at different price points, which is always good to see. Carly absolutely loved her lemur tail and took it in to show her teacher at school the next day! We all had a fantastic time at Marwell Zoo. We had been lucky with the weather and it was so lovely to be out and about exploring a new place as a family. You can purchase tickets from Marwell’s website in advance or at the entrance gate on the day. We were invited along to Marwell Zoo, however all words and images are my own.